Ah, the beauty of fall colors in the mountains. There is nothing like it -- anywhere. Most people have their favorite fall color haunts that rarely disappoint. I have my “go-to” spots as well. Whether you’re leaf watching consists of a quick scenic drive on a Sunday afternoon or a weekend stay amid the trees, we can agree that, when the conditions are right, autumn time in Utah is worth celebrating. For the casual leaf watcher, there are a number of locations all along the Wasatch front that simply drink up the fall colors. Also, many have a bonus activity attached. To help you make the most of your fall drive, the Forest Service has set up a Fall Colors Website to help you decide where and when to go but according the the Farmer's Almanac, peak Fall Foliage Dates in Utah are October 5-21. I know, I know. It seems cliché to suggest visiting the gardens. But if you are stuck in the city and need a quick change in environment to recharge your spirit, Red Butte never disappoints—regardless of the season. Just know, a sack lunch tastes better when eaten outside surrounded by nature. Often a professional photographer’s favorite shot spot, Wheeler Farm is surrounded by mature leafy trees, open grassy space, rustic buildings, and, of course, super cute farm animals. For more information on Pumpkin Days at Wheeler Historic Farm or information on professional photo shoots on the grounds, visit wheelerfarm.com. The mature trees, decorative structures, quiet pond and winding beltway make this location an easy pick for a last-minute fall picnic. 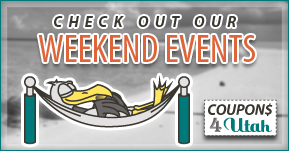 When you are finished eating, why not visit Tracy Aviary and check out the beautiful birds that call this peaceful location home all year long. Beautiful Leaves can be as close as the next neighborhood over. Go east on Wasatch Blvd. until you reach Hidden Valley Park. Follow the Bonneville Shoreline Trail as it wraps around the east bench where you'll find amazing views of the valley. Take Sunnyside east past the zoo where you'll find dozens of trails full of fall color. Make a day of it and stop by the historic Ruth's Diner for a lunch on their fantastic patio. The good news, the easy access for people of all ages doesn’t detract from the beauty. The lake is just large enough to provide amazing colors and scenic views and small enough for the littlest of fans to enjoy the stroll. The Grand Prix of Leaf Watching (Heber, Midway, Sundance) So many locations, so many colors. By picking a central location, you can spend the weekend enjoying beautiful colors and a variety of fun activities in all directions. If you are looking for a unique adventure amid the fall foliage, Homestead Resort in Midway welcomes you. The sprawling cottages provide the perfect setting and destination for the most devoted leaf watcher. Be sure to visit their website for current deals on lodging. Discount: When the day is done, take a dip in the Crater where the temperature is always a balmy 90-96 degrees. No matter where you are coming from, Heber always feels like home. Heber’s small-town charm is a welcome respite from the hustle and bustle of big city life. When it comes to fall activities, Heber is one of the best destinations for family fun. Discount: For many, the Heber Valley Railroad is a longtime family tradition for every season. Come ride the Pumpkin Train, but be sure to stay and celebrate the Annual Scarecrow Festival or brave through the spine-tingling Sleepy Hollow Haunted Wagon Ride. Another fun activity is to soar from above and take in the views on one of two different courses with Zipline Utah. 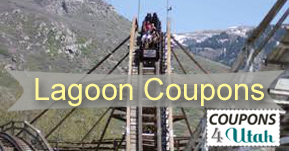 The Flight of the Condor course spans 4 zip lines and a suspension bridge. The Screaming Falcon is the world's longest zipline course over water! 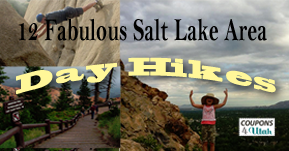 It consists of over 2 miles of 10 zip lines and 7 suspension bridges, while also showing you some of the most amazing views Utah has to offer. Nestled at the base of Mount Timpanogos, Sundance Ski Resort places you right in the middle of the fall splendor. After a day of enjoying the fall colors, you can savor wonderful cuisine made special from local and organic growers. For those with an adventurous spirit, see the leaves from above on the Sundance Resort Zipline. 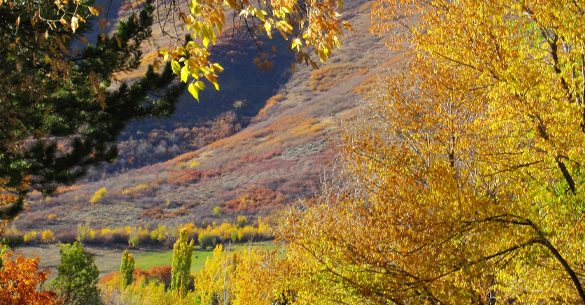 The golden leaves atop pale Quaking Aspen lining a crisp blue sky is a Cache Valley specialty, and the Logan Canyon scenic byway is the perfect way to feast your eyes. Speaking of feasting, if you happen to end up at Bear Lake, and you feel a little fancier than a burger, Cooper’s Restaurant in Fish Haven offers a delicious meal paired with a delicious view of the lake. Certainly one of the most popular scenic drives for fall, the trees surrounding Mount Nebo virtually dazzle with spectacular colors. This scenic byway lies just off the Nephi exit. Its narrow, winding roads make it a favorite destination for motorcycle enthusiasts. The amazing views make it favorite for everyone else. 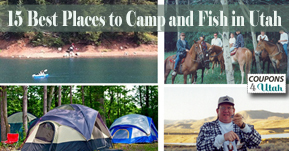 If you want to make a weekend of it, Ponderosa Campground offers clean sites and easy access to great fishing. But hurry! Camping season closes the end of October. Visit www.reserveamerica.com for site availability. This 20-mile stretch of roadway meanders its way through the Uinta National Forest all the way to Provo Canyon. This beautiful winding road (Highway 92) is open late May through late October and is closed the rest of the year due to snow. This is a beautiful and quiet drive offers breathtaking views. The winding road takes you from Deer Valley over to Park City and Midway. 14. Mirror Lake Highway Reaching north from Kamas, Utah, to Evanston, Wyoming, the highway traverses nearly 80 miles through the Uinta Mountains. The highway has panoramic views of the alpine landscape from the road’s high point at Bald Mountain Pass. There are also numerous lakes that offer splendid view including its namesake Mirror Lake. This 85-mile, one-way jaunt is a drive well worth the time. Flaming Gorge area also makes for a fantastic fall camping location. There's nothing that rivals the amazing golden and crimson hues of fall color. Some of the prettiest roads lay within minutes from Ogden. Leaf watchers travel east of the city along the Ogden River Scenic Byway passing through narrow canyon, an expansive and beautiful valley, and some fine mountain meadows and forest. It’s some of the prettiest stretches in Northern Utah. Consider visiting the towns of Huntsville or Eden and stopping for a bite to eat. These are just a few of our fabulous places to see the fall colors. Whether it’s spending one week in the canyons or one hour at the park, the fleeting bursts of color that Utah’s fall season provides is a welcome tradition. Get out there and enjoy it! Where are your favorite places to see Utah's fall leaves?